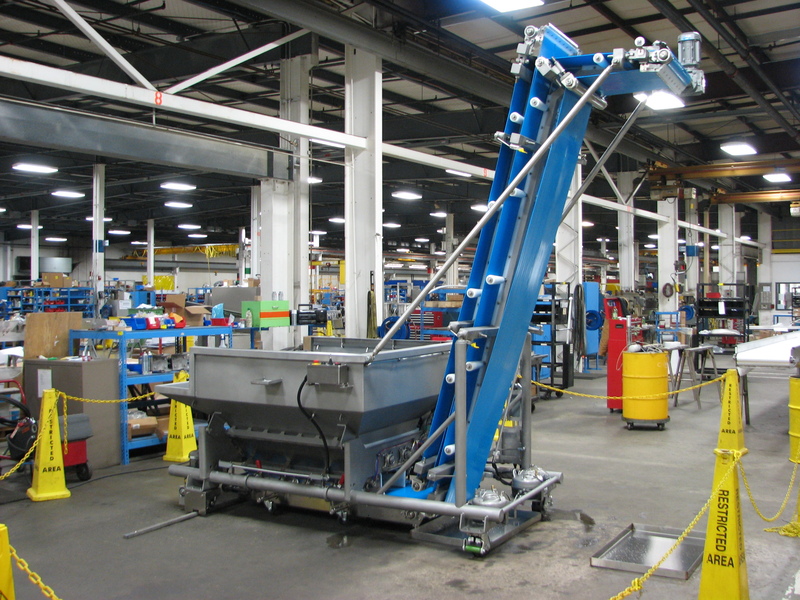 The Peerless Group is known for more than mixers and sandwiching machines. Peerless is also known for Dough Handling equipment. Once you have a 1,500 lbs dough ball mixed – you need to physically move it to the next step in the process. This is where the Rotary Dough Feeder (RDF) comes in! Click here to watch a video about the Peerless RDF. Dough is dumped from the mixer into the RDF. The RDF then chunks out uniform pieces of dough onto a conveyor that transports the dough to the next step in the manufacturing process. The next step might be a drop into a freezing unit, an oven or another moulding device. Rotary Dough Feeders help to automate the process of moving mass amounts of dough through a system more efficiently and can eliminate the need for troughs, trough hoists and large hoppers in the bakery. It also helps to reduce the direct contact needed with the dough – reducing the heat exchange. The Peerless RDF has an open frame design that allows for easy access and cleaning – promoting good sanitation practices. And, the Peerless RDF can be optioned up with additional product lubrication nozzles if needed. 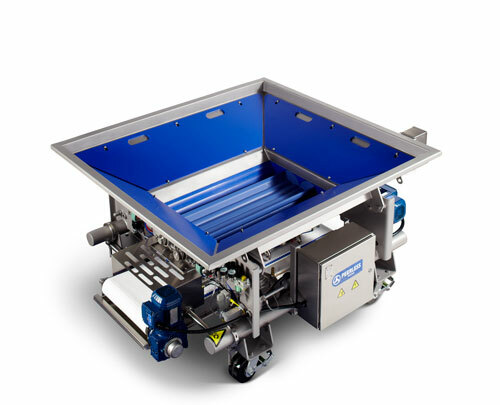 For more information about Peerless Dough Handling Equipment – feel free to visit our website!